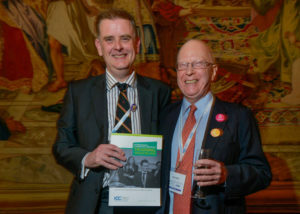 The new book was launched at a cocktail reception on 9 February in Paris which was attended by mediators, mediation specialists and students from around the world. ICC decided to produce the compilation after numerous universities and providers of mediation training asked for copies of the commercial dispute case-studies that professional mediators create for students to resolve in mock sessions at ICC’s Mediation Competition each year. Entitled International Commercial Mediation Training Role-Plays – Cases from the ICC International Commercial Mediation Competition , the new book is co-edited by Greg Bond and Colin J. Wall, two professional mediators originally from the UK and long-term residents of Germany and Hong Kong respectively. 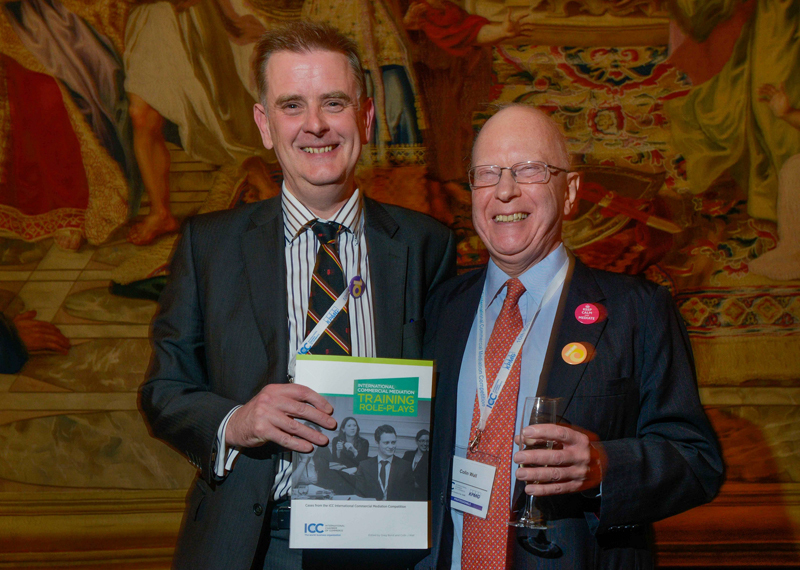 Both have also been working for many years as judges and mediators at the ICC Mediation Competition. The book assembles case-studies written by 16 prominent mediators who drew on their own professional experiences to write role-plays that reflect situations encountered in real disputes. This is a golden, diverse compilation of some of the best role-plays in mediation and negotiation, contributed by some of the best-known mediation and negotiation trainers. The book is both educational and entertaining to read. Each role-play comes with a set of general information for both parties, as well as confidential information for each party. The two editors provide expert comment on the role-plays from business, legal and training perspectives. Even the case-study titles are fascinating, with names such as “The Spacenook Saga”, “Top Pipings Ltd. v SuperDrilling Ltd.”, “Hot & Spicy BBQ”, “The Palm Leaf Shopping Mall” and “Special Chemistry”. They are grouped into five clear chapters: contracts and disputed terms; sales contracts and disputes over quality; intellectual property disputes; construction disputes; and personal and emotional disputes. “Many highly realistic case studies are put to the test every year by students at the ICC Mediation Competition, so it was an exciting challenge to select the 21 best ones. We’ve managed to include a wide range of cases to show how mediation can be used to resolve complex disputes amicably and efficiently,” said Colin J. Wall, Arbitrator and Mediator, who has been involved with the Competition since its inception in 2006, and who has co-chaired the writing and editing of competition role-plays since 2012. The book is available in English, and can be ordered from the ICC Store. Attracting hundreds of participants each year, the ICC International Commercial Mediation Competition has become a major global forum for professional mediators, trainers, and students of mediation and mediation advocacy. Taking place on 5-11 February 2015, the event’s 10th edition is the most diverse yet, involving 67 student teams from more than 30 countries.